A programme designed to embed a culture of innovation within the day-to-day operations of the company, sees key staff members implement new knowledge, tools and expertise and drive forward new and exciting ideas from across the business generate. 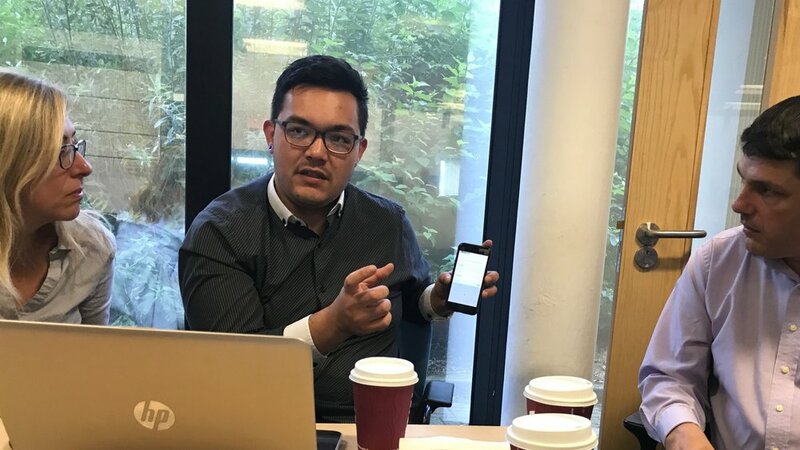 +ADD have been supporting an initiative to design a working mobile app which helps volunteer hygiene promoters to working in under developed and remote parts of the world! Our submission won a national category award. The team was instrumental in coordinating the consortia's response to Water AID's challenge. As part of the project +ADD secured sponsorship and assistance from Nutshell (a novel software platform enabling mobile app development with no coding expertise). Further +ADD's team organised workshops to co-create and design the APP with NWG staff. Ana (NWG). Scott (Nutshell) and Peter (+ADD). Many cups of coffee later...an APP is born. The resultant APP enables scheduling and management of field projects, as well as coordination of volunteers. Further the volunteers (typically local community members) can access an easy to use hygiene audit. The audit is designed to deliver insight over several visits, and to engage participants directly through the interface, mapping progress and highlighting areas in which practical assistance might be needed. For more information please contact Fiona at +ADD.